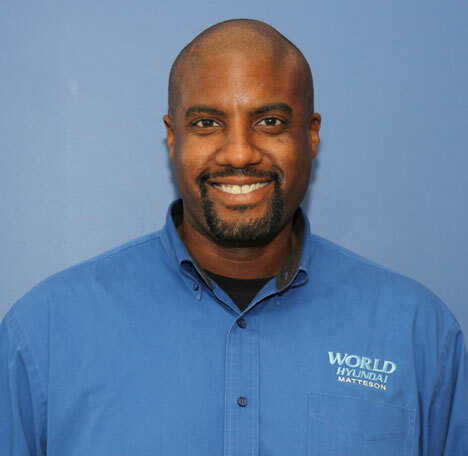 Real classy Dealership i advise you to come to World Hyundai in Matteson see Chris Davis, they help on what vehicle you want and whats best for you ,real nice place to purchase a vehicle!!! Thanks Chris. she was very helpful I like her positive attuide and i was very satisfied with her and her assistant. Lester is a very good sales assosiate. Great, informative, got more information on things I want done. Friendly people. Very helpful and very knowledgeable about finances and the hyundai product. Very good and persuasive sales person. The finance manger was a fantastic help also. Glad to hear we got you a good finace deal. The best part about buying a car is getting a great car loan. Things were great. Antoine, Tom & Korey went the extra mile to get this deal done! Antoine, Tom and Korey are good at serving our customers and keeping our Hyundai buyers happy. Thank you for your business. Please come see us for your first Chicago Hyundai service! Even though I came in looking for something different little did I expect to leave in a 2010 Genesis Coupe! Antoine was very patient with our situation & things went great! Thanks for review. I know you will love your new Genesis. Great car, affordable price, World Hyundai had it all. My experience at World Hyundai, was quite satisfying. I enjoyed the way that they treated me with respect... I would recommend World Hyundai to anyone that is in need of a great car and is looking for an affordable price!!! Santa Fe from World Hyundai Matteson-love it. My salesman Antoine was great throughout the entire process! He helped my daughter & I get into a brand new Santa Fe that we love! Family is very happy with World Hyundai Matteson. 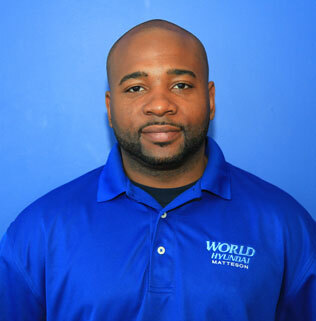 Michael Houston was very helpful, knowledgeable, patient,and made our visit to the dealership a pleasurable experience ! He was able to explain the various features of the vehicle to the point that we really wanted to make the purchase today rather than at another time. Our family is really happy and glad that we got him as our salesperson. We are very happy to have helped your family get into a Hyundai. I enjoyed my Hyundai car buying experience with Rory! He is such an amazing gentleman. He understood what was I looking for in a car. No hassle. "Car buying made easy!" Thanks Rory! Finally got the car I wanted from World! Great customer service.. did a good job. I finally got the car I wanted!! !